DChoc Café: Hangman is a mobile-based take on the traditional hangman game. Players obtain trophies and new clothes with every win, so they can dress up their avatar and the café. 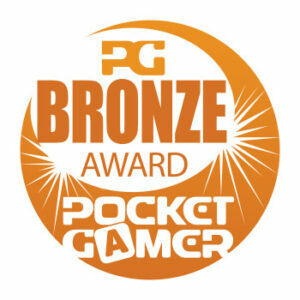 DChoc Café: Hangman was entirely conceived and developed by the mobile games unit at the Digital Chocolate Barcelona Studio under my management and won a Pocket Gamer Bronze Award. (…) a sturdy addition to the Cafe series and well worth a look if you haven’t bought one of DChoc’s connected-based games already.